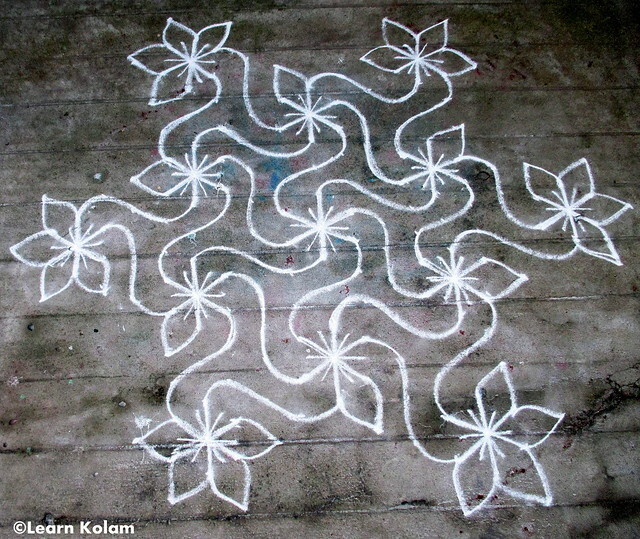 Here is yet another interesting daily kolam design.This pattern may look confusing to you.But its really a simple one to draw if u practice.My neighbours used to ask my wife to teach this kolam whenever she draws it at our entrance . Can you give step wise please. It is simple, but not getting the same effect.